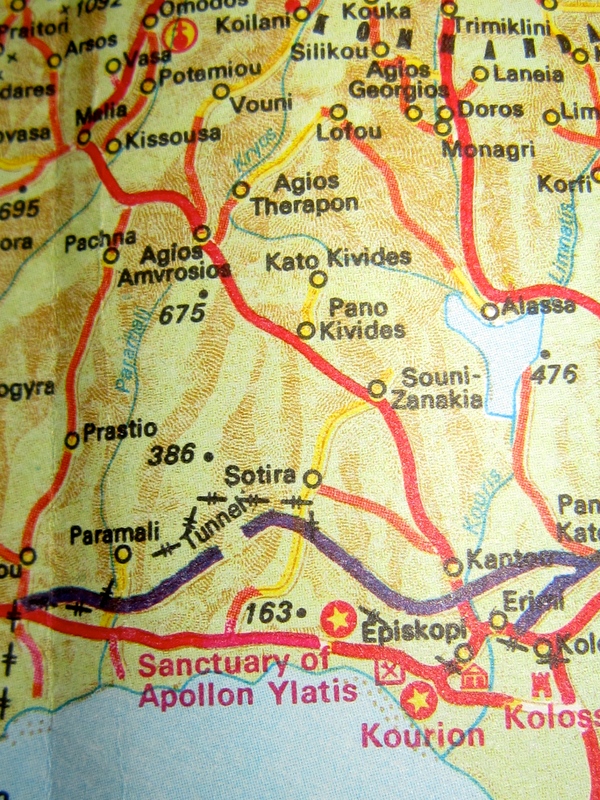 Cyprus Wines: Zambartas Wineries, Agios Amvrosios, Limassol. The stars have aligned…! It’s a very rainy Cyprus day in February after a dry January. Highlighting the contrast between a wet today and many dry yesterdays, the heavy rain seems oppressive as we drive along the highway to the Limassol area. We arrive in the village of Agios Amvrosios looking for Zambartas Wineries. I phone to check their location in the village and am told the person we are scheduled to meet had to go to Nicosia urgently. My heart sinks as we have been looking forward to this visit. Fortunately, all is not lost as the man on the phone invites us to continue with our visit. He will show us around. 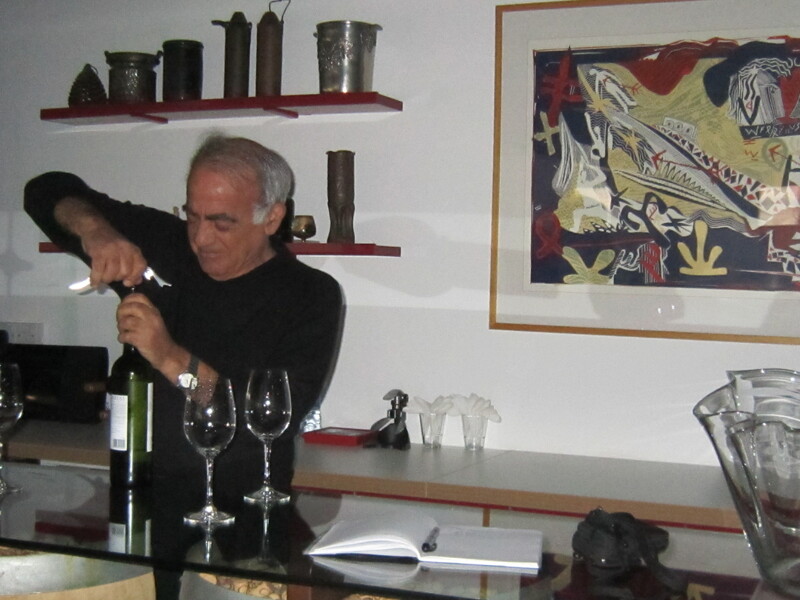 This is not only good; it’s fantastic when I realize that our host is Dr. Akis Zambartas, the founder of the winery. The stars have aligned to make this a memorable visit with one of the gurus of wine making in Cyprus. Zambartas Wineries is a boutique winery founded in 2006 by Dr. Akis Zambartas in the Krasochoria Wine Region on the south facing slopes of the Troodos Mountains. The focus is on the production of quality wines while employing environmentally friendly practices. Akis has been joined in this enterprise by his son Marcos and daughter in law, Marleen. Father and son are highly qualified scientists. Both are chemists with further degrees in oenology. Akis took his Ph.D. in chemistry at Lyon University in France followed by a degree in oenology from Montpelier University, famous for its oenology program. Not only is Akis a scientist he also has a wealth of business experience from a previous role as a chief executive officer in the wine and spirit industry in Cyprus. He has also been a pioneer in the discovery of Cyprus grape varieties. Marcos took a graduate degree in chemistry from Imperial College, London, followed by a degree in oenology from the School of Oenology, Adelaide University. Zambartas Rosé. This is their flagship wine. It is a blend of Lefkada (a local indigenous variety) and Cabernet Franc. This is a ripe, red berry and strawberry style Rosé with cherry flavours on the nose, good acidity and freshness. Zambartas Xynisteri is a white wine from the Xynisteri indigenous grape. I increasingly enjoy this indigenous variety. For my palate, the experience is like having a glass of Sauvignon Blanc with traces of Pinot Grigio. The lemony, white fruit and honeyed fresh flavour with good acidity makes this my favourite glass of wine at lunchtime with a fig and Cyprus goat cheese salad. Zambartas Maratheftiko is a red wine from the Maratheftiko indigenous vine. These vines can be challenging to grow yet the resulting wine is worth the efforts of the winemakers. There are subtle herbal flavours as well as those of violets. It’s a more delicate wine than its full colour would suggest and requires some thoughtful food pairing. Cheese, veal would be good choices. In challenging economic times in Cyprus, Akis and Marcos have been enterprising in their marketing. They have remained true to their vision of making quality wine at Zambartas Wineries and steadily increasing their production and expanding their markets. 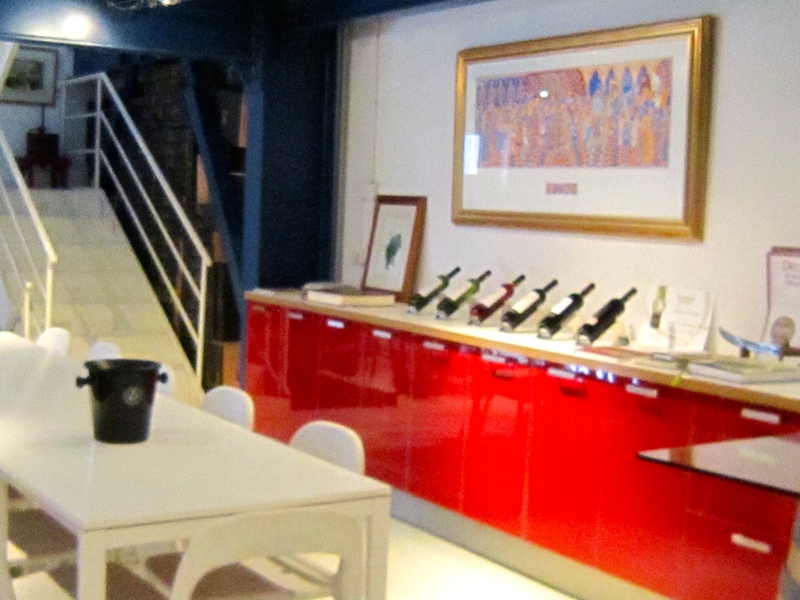 Their boutique winery of currently 60,000 bottles per year has increased both its domestic and export reach. Most exciting for wine drinkers in the UK is that Berry Bros and Rudd, the oldest wine and spirit merchants in the UK who have had their offices at No.3, St. James’s, London since 1698, now list Zambartas Maratheftiko. Not only is Berry Bros and Rudd representing their Maratheftiko but Hugh Johnson’s Pocket Wine Guide 2014 also mentions Zambartas Wineries. There appears to be increasing interest in “island wines” and Zambartas Wineries is riding this wave. We spend a very enjoyable hour or so talking with Akis who is able to describe complex matters in straightforward terms. We hear about their environmental practices, how they apply science to their viticulture decisions, the locations of their parcels of vines, the geology of different sites, their sustainability objectives as well as their efforts to support important initiatives in the evolution of Cyprus wine making. I ask Akis for his thoughts on the future of wine making in Cyprus. He says it will be important to continue the modernization of practices and to use and apply knowledge: both the academic knowledge of science and oenology and also the intuitive connection and experiential knowledge of the land and the vines. Akis says that the future of Zambartas Wineries is with his son, Marcos. This is another example of the power of intergenerational legacies in the wine-making world that we have seen elsewhere. The heaviness of the rain at the beginning of our visit lifts and soon the sunshine returns. 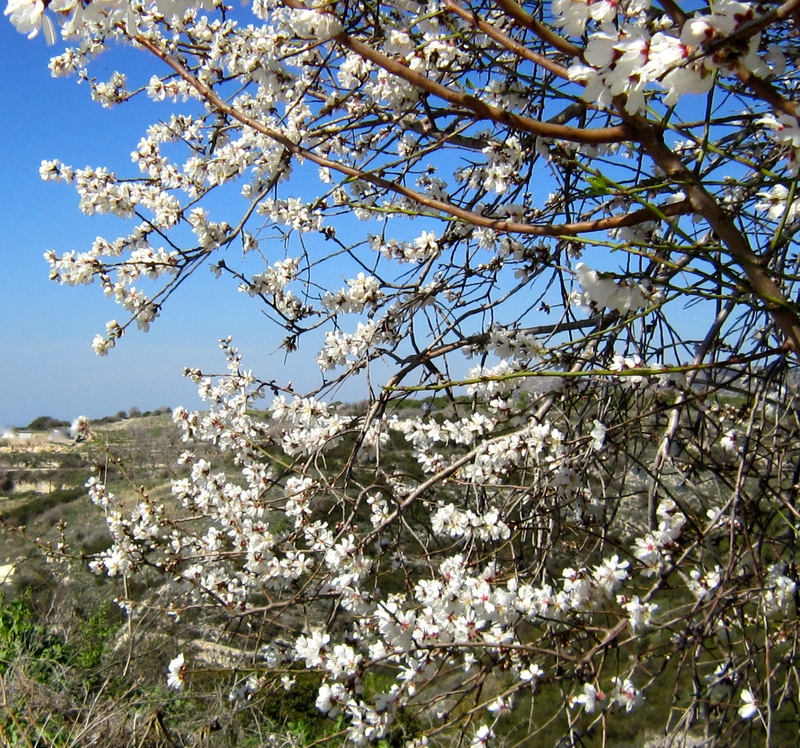 The almond blossom, harbinger of Spring in Cyprus, opens in the orchards and the annual renewal of nature begins. Back in British Columbia and it turns out we have another interest in common: TED (Technology, Entertainment and Design) whose vision is generating “ideas worth spreading”. Zambartas Wineries was a sponsor of a TEDX Nicosia event. These are locally organized events held under a TED license to start a community conversation about issues of concern. Followers of TED will know that the TED 2014 Conference was recently held in Vancouver. We watched some of the live sessions broadcast for free to local residents via the library system. We greatly enjoyed our visit to the Zambartas Wineries and our time with Akis. Whenever I think of our visit, I feel inspired by the dynamism, sense of purpose and the results the family has achieved in a relatively short period of time. Hugh Johnson’s Pocket Wine Guide 2014 is reputedly the #1 best selling wine guide and is widely available. 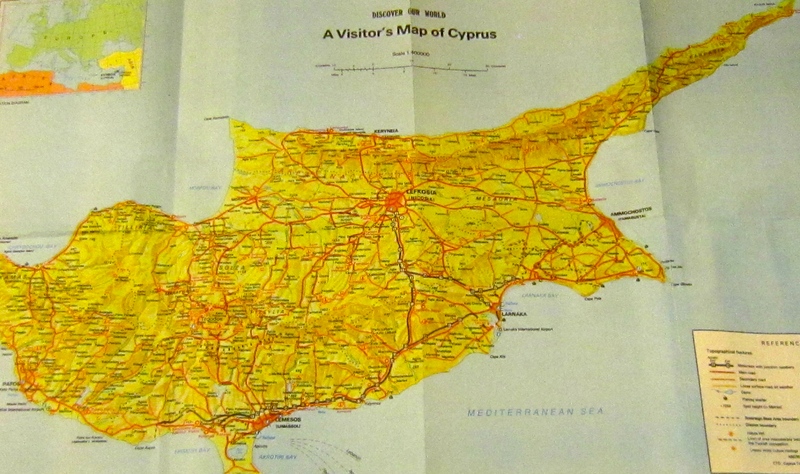 Visitors’ Map of Cyprus courtesy of the Department of Lands and Surveys, Cyprus – Tourist Information. This entry was posted in culture, Cyprus, Cyprus Wines, History, wine and food, wine tasting, wine tourism and tagged Akis Zambartas, Berry Bros and Rudd, Cyprus, Cyprus wines, French wine tourism, Hugh Johnson's Pocket Wine Guide 2014, wine and food pairing, wine tasting notes, Wineries by elizabethsvines. Bookmark the permalink. I had no idea that Cyprus has such an enormously interesting viticulture. Thanks for education us and introducing us to the charismatic Akis! An enjoyable journey. Thanks for your kind comment. Yes, Cyprus is really regaining its viticulture heritage and people like Akis and others are leading the way. I’m glad you enjoyed reading about their progress.